AR075 Citroën: 90 years: A 2cv converted to a six-wheeler (a 2×6?). 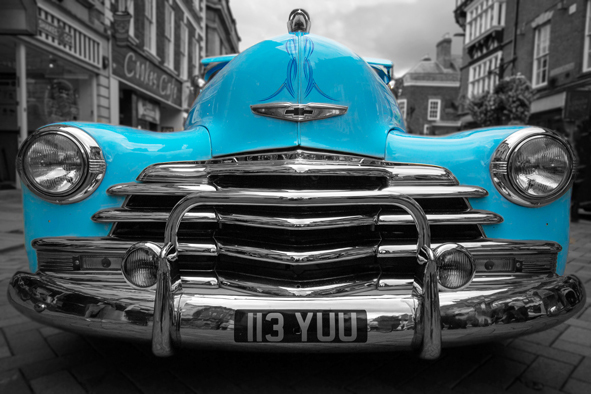 From our experience owning a 2cv, it would need a much bigger engine in this form. As a four-wheeler ours could barely drag itself into a fast-moving stream of traffic, so with the extra weight and friction… (Photo Bruno Boracco). AR085 Pedals and Motors (possibly also AR040 MG Album or AR43a Riley Album? 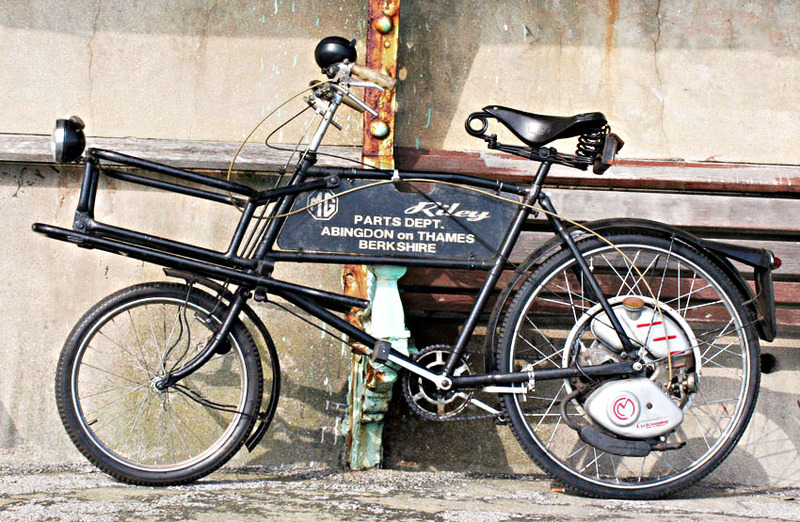 ): A tradesman’s delivery bicycle with a Cyclemaster motor fitted, and purporting to have been operated by the MG and Riley parts department at the Abingdon MG factory. Any ideas if the livery is genuine? 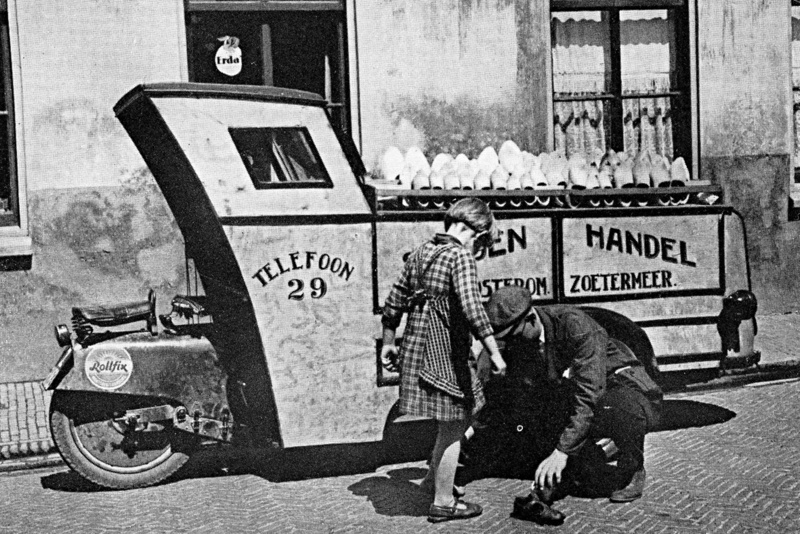 AR035 On Three Wheels (though that title only described British-made three-wheelers): A Dutch clog-maker operated this mobile sales vehicle in the 1930s. 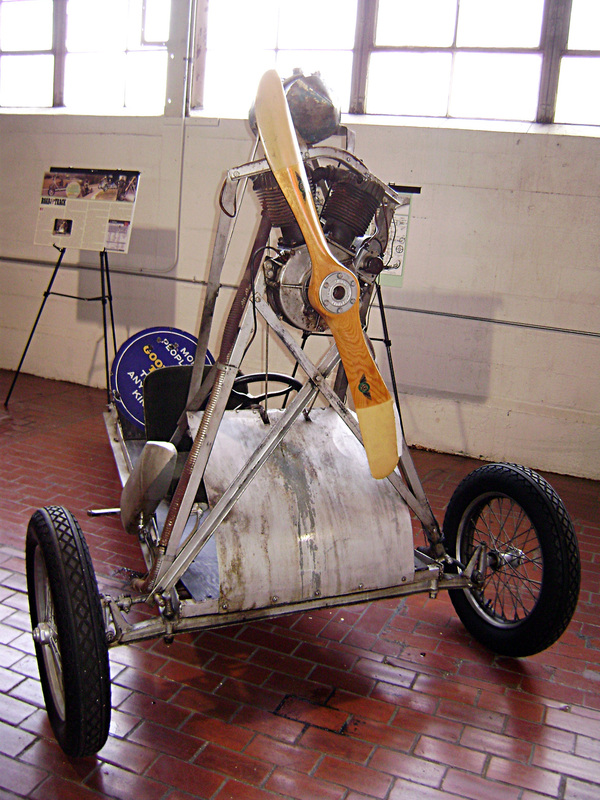 It is a German-built Rollfix three wheeler, with custom-made bodywork. AR146 Mercedes-Benz commercial vehicles: From the days before the 1926 merger of Daimler and Benz. 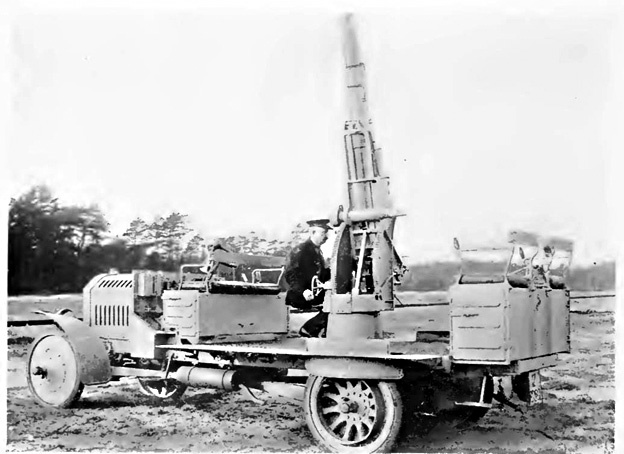 In 1909 this Mercedes (DMG) 50hp lorry was equipped with a Krupp 75mm high velocity gun, to shoot down observation balloons, the first mobile anti-aircraft platform. Modified and developed versions, with armoured bodywork and stabilising jacks, saw service in the Great War. One can only imagine the stress put on the lorry chassis by the recoil from the gun. This vehicle is described, but not pictured, in AR146, for publication in November 2018. AR144 Studebaker Album: A rather sorry for itself Studebaker Champ pickup, from the last year of production in 1963-64. 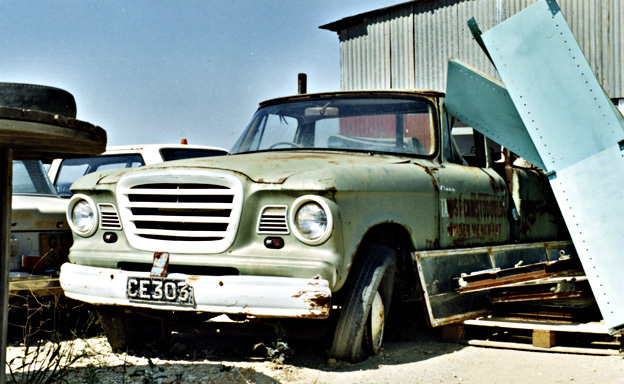 In a sad ending for a great American marque, with the last two years of production in 1965-66 in the smaller factory in Canada, there was no space to make pickup trucks (or Avanti sports cars). (Photo H-S Transport Collection). AR148 Lamborghini Album: A Lamborghini five-door sports estate car? Pietro Frua’s Faena concept car from 1978. There are a couple more photos of it in this book, scheduled for publication in the first quarter of 2019. (Photo via Wolfgang M Buchta, Austro Classic). 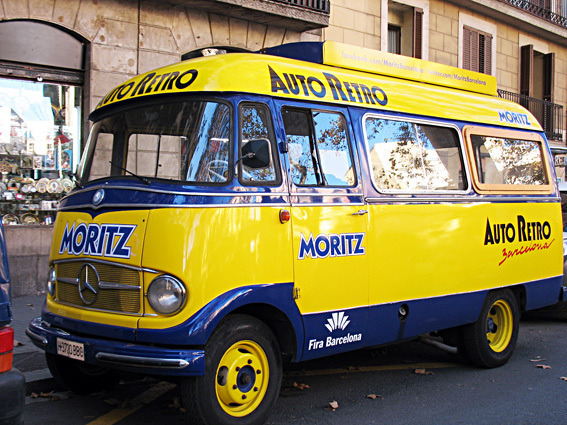 AR146 Mercedes-Benz commercial vehicles: This is a Mercedes-Benz O319 minibus from 1966 preserved in Moritz-AutoRetro livery. The book is due out in November 2018, but this photo is not included. We had so many excellent photos from our worldwide team of contributors that there just wasn’t the space to get them all in. (Photo Fabrizio Panico). AR149 Mercedes-Benz Unimog: Yes, this is a Unimog, but fitted with a new cab and a Perkins Diesel engine. We couldn’t work out what model of Unimog is underneath (possibly a 404 S?) so the illustration had to be left out of the book, which is slated for publication in the second quarter of 2019. 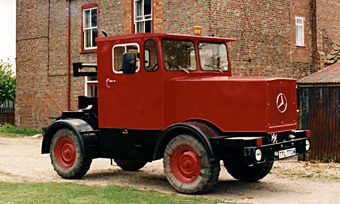 (Photo H-S Transport Collection).